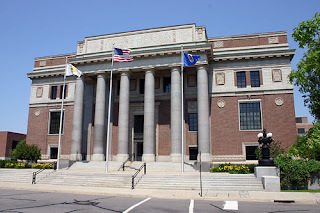 This post does something I have not done before: Analyze an opinion in which a state Supreme Court reviews the State’s Court of Appeals’ ruling on issues in the case when it was on appeal to that court. The title of the case is State v. Rund, 2017 WL 2458130 (Minnesota Supreme Court 2017). You can find the post analyzing the Court of Appeals’ decision here. Harrison William Rund pleaded guilty to terroristic threats in connection with a series of threatening tweets directed at law enforcement officers. The district court granted Rund's motion for a downward durational sentencing departure. A divided panel of the court of appeals affirmed the departure. Appellant State of Minnesota filed a petition for review, which we granted. Because the district court based the departure on improper reasons and the record contains insufficient evidence to justify the departure on alternative grounds, we reverse the decision of the court of appeals, vacate Rund's sentence, and remand to the district court for imposition of a presumptive sentence. Around 1:00 a.m. on February 4, 2014, a Minnesota State Trooper stopped a vehicle driven by Rund. It was not the first time that the particular trooper had stopped Rund. During the stop, Rund and the trooper `had a disagreement.’ Ultimately, the trooper searched the trunk of Rund's vehicle, where he found marijuana that was later seized. The tweet that referred to the use of a grenade was posted along with a photograph of a group of St. Paul police officers. Rund had previously posted a photograph on his Facebook page in which it appeared that he was holding a silver revolver. The opinion also noted that the “The tweet that referred to the use of a grenade was posted along with a photograph of a group of St. Paul police officers.” State v. Rund, supra. @StPaulPoliceFdn is the Twitter handle for the Saint Paul Police Foundation, a nonprofit corporation that supports the Saint Paul Police Department. See https://twitter.com/stpaulpolicefdn; http://saintpaulpolicefoundation.com/about-the-saintpaul-police-foundation/. @sppdPIO is the Twitter handle for `[t]he official Twitter page of the Saint Paul Police Department.’ See https://twitter.com/sppdPIO. [l]aw enforcement officers became aware of Rund's tweets the following morning, and they arrested Rund at his home at 6:30 p.m. that evening. When arrested, Rund stated that he `tweeted some things he should not have because he had a bad experience with a police officer the night before.’ The next day, February 5, Rund made a recorded statement, admitting to posting the tweets. The State charged Rund with one count of terroristic threats, Minnesota Statutes § 609 subd. 1 (2016). Section 609.713.prohibits a person from `threaten [ing], directly or indirectly, to commit any crime of violence with purpose to terrorize another . . .,or in a reckless disregard of the risk of causing such terror.” Id. Rund pleaded guilty to the charged offense without any agreement regarding sentencing. As part of the factual basis for his plea, Rund admitted that he posted the five threatening tweets. Although Rund claimed that he did not make the threats with an intent to terrorize, Rund admitted that he posted the tweets recklessly, without regard to the risk of causing terror. Rund stated that he was sorry for any fear that he caused. The district court accepted Rund's guilty plea and scheduled a sentencing hearing. At the sentencing hearing, Rund's counsel acknowledged that, with Rund's criminal history score of zero and an offense severity level of four, the presumptive guidelines sentence was 12 months and 1 day, stayed. Rund's counsel asked the district court to impose a sentence of 365 days in jail, which, by operation of law, would convert Rund's felony conviction into a gross misdemeanor conviction. See Minn.Stat. § 609.13, subd. 1(1) (2016). According to Rund's counsel, the requested downward durational sentencing departure was warranted by Rund's remorse, his intoxication, and the less serious nature of social media threats generally. The State opposed the durational departure and requested a stay of imposition, along with a 60-day jail sentence and 5 years of probation. Noting that a durational departure must be based on offense-related reasons, the prosecutor asserted that Rund's conduct was more egregious than the conduct typically committed during a terroristic-threats offense. The prosecutor emphasized that Rund made repeated threats of serious violence. She also stressed that Rund did not just post a generic tweet, but instead specifically directed his tweets to law enforcement, singling out both the state trooper who stopped him that night and another officer. Finally, the prosecutor argued that, despite Rund's assertion to the contrary, the social media context in no way diminished the seriousness of his offense. `The only reason this is less onerous is because of your age and of your mental state. It doesn't make it less onerous to the parties receiving it. They don't know what you are going through or otherwise. But I don't think you had the intent to do it. You didn't have a gun. You weren't going out to try to search where they live. You weren't going to make a planned attack. You just wanted to send a tweet out to affect as many people as you can, and that worked. The court then granted Rund's request for a downward durational departure, sentencing him to serve 365 days in jail, with 245 of those days stayed for a period of 3 years while Rund completes probation. As conditions of probation, the court ordered Rund to abstain from alcohol, attend Alcoholics Anonymous meetings, and undergo chemical-dependency and mental-health evaluations. State v. Rund, supra (emphasis in the original). In its written departure report, the district court did not check any offense-related reasons for the downward durational departure. Instead, it checked four offender-related reasons, specifically that Rund: (1) showed remorse or accepted responsibility, (2) lacked substantial capacity for judgment, (3) was particularly amenable to probation, and (4) was particularly amenable to treatment. [t]he State appealed, arguing that the district court based the downward durational departure on improper reasons and that the record contained insufficient evidence to justify the departure on alternative grounds. A divided court of appeals affirmed the departure. State v. Rund, No. A16-0133, 2016 WL 4162925, at *5 (Minn. App. Aug. 8, 2016). The State filed a petition for review, which we granted. 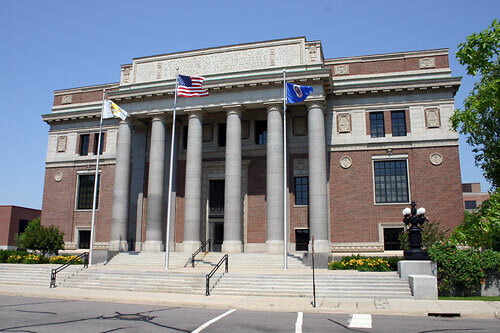 Minnesota Sentencing Guidelines instruct that a district court `must pronounce a sentence of the applicable disposition and within the applicable range unless there exist identifiable, substantial, and compelling circumstances to support a departure.’ Minn. Sent. Guidelines 2.D.1. Substantial and compelling circumstances for a durational departure are `those which demonstrate that the “defendant's conduct was significantly more or less serious than that typically involved in the commission of the crime in question.”’ State v. Leja, 684 N.W.2d 442, 450 (Minn. 2004) (quoting State v. Cox, 343 N.W.2d 641, 643 (Minn. 1984)). The sentence here involved a durational departure because Rund received a sentence outside the presumptive range listed in the sentencing guidelines for an offender with his criminal history score. Minn. Sent. Guidelines 2.D.1. (`A pronounced sentence for a felony conviction that is outside the appropriate range on the applicable Grid, including a stayed or imposed gross misdemeanor or misdemeanor sentence, is a departure from the guidelines.’); accord State v. Cizl, 304 N.W.2d 632, 634 (Minn. 1981). `To maintain uniformity and proportionality, departures from the presumptive guidelines sentence are discouraged.’ State v. Jackson, 749 N.W.2d 353, 357 (Minn. 2008) (citing State v. Misquadace, 644 N.W.2d 65, 68 (Minn. 2002)). [n]evertheless, we afford the district court `great discretion in the imposition of sentences’ and review decisions to depart from the sentencing guidelines only for `an abuse of discretion.’ State v. Spain, 590 N.W.2d 85, 88 (Minn. 1999). A district court abuses its discretion when its reasons for departure are improper or inadequate. State v. Edwards, 744 N.W.2d 596, 601 (Minn. 2009). When the district court gives improper or inadequate reasons for a downward departure, we may independently examine the record to determine whether alternative grounds support the departure. State v. Solberg, 882 N.W.2d 618, 623 (Minn. 2016); see also State v. Jones, 745 N.W.2d 845, 851 (Minn. 2008) (explaining that when the district court's reasons stated on the record for a departure are improper or inadequate, our past practice has been to independently review the record to determine whether sufficient evidence justifies a departure for legitimate reasons). Reversal is required when the reasons given are improper or inadequate and the record contains insufficient evidence to justify the departure. Williams v. State, 361 N.W.2d 840, 844 (Minn. 1985). [t]he State argues that the reasons given by the district court for the downward durational sentencing departure were improper. We agree. Durational departures may be justified by offense-related reasons only. Solberg, 882 N.W.2d at 625; cf. State v. Heywood, 338 N.W.2d 243, 244 (Minn. 1983) (`[W]hen justifying only a dispositional departure, the trial court can focus more on the defendant as an individual . . . .’). Offender-related reasons—such as particular amenability to probation or treatment, remorse that does not reduce the seriousness of the offense, or age—are not legally permissible reasons for a downward durational departure. See Solberg, 882 N.W.2d at 625-26 (discussing remorse); State v. Bauerly, 520 N.W.2d 760, 762 (Minn. 1994) discussing remorse and age); Heywood, 338 N.W.2d at 244 (discussing particular amenability to probation). Here, the district court relied on both offender- and offense-related reasons. The offender-related reasons were Rund's age, his remorse and acceptance of responsibility, his lack of substantial capacity for judgment, and his particular amenability to probation and treatment. Because these are not legally permissible reasons for a downward durational departure, the district court's reliance on these reasons was an abuse of discretion. [a]lthough the district court did not check any offense-related reasons in its written departure report, the court did state on the record that Rund's offense was less serious because of his `mental state.’ Rund contends that this statement was a reference to his admitted mens rea, which was a reckless disregard of the risk of causing such terror, as opposed to a purposeful intent to cause terror. The comments that immediately follow the court's reference to Rund's `mental state’ do not appear to support Rund's mens rea argument because the comments emphasize that Rund did not actually intend to murder the police officers, rather than discussing his intent to cause terror. In any event, even if the record did support Rund's mens rea argument, we rejected a similar argument in Solberg, 882 N.W.2d at 627. The defendant in Solberg argued that his third-degree criminal sexual conduct offense was significantly less serious than the typical case because he completed it by using coercion and not violence. Id. at 626-27. Acknowledging that “third-degree criminal sexual conduct covers a range of wrongful acts, including the use of threats or the infliction of bodily harm,” we held that Solberg's offense was not significantly less serious than the typical case because his “use of his overwhelming physical size and strength to cause the victim to submit to penetration against her will fits squarely within the statute's prohibition ....” Id. Like the statute in Solberg, which covered a range of wrongful acts, here the terroristic-threats statute includes more than one mens rea: either the purpose of terrorizing or a reckless disregard of the risk of terrorizing. Minn. Stat. § 609.713, subd. 1. As part of his guilty plea, Rund admitted that he repeatedly threatened to kill police officers in in tweets that were directed to police organizations and singled out the state trooper that stopped him, as well as another officer. Because Rund's conduct fits squarely within the statute's prohibition against making threats with a reckless disregard of the risk of causing terror, his conduct was not significantly less serious than the typical case. Accordingly, Rund's `mental state’ was not a proper reason to impose a downward durational sentencing departure. [a]lthough the reasons given by the district court for the downward durational sentencing departure were improper, our inquiry does not end there. When a court gives improper reasons for a downward departure, we may independently examine the record to determine whether alternative grounds support the departure. Solberg, 882 N.W.2d at 623. According to Rund, the record supports two grounds for the departure that were not articulated by the district court: (1) remorse that relates back to the offense, and (2) the social media context of his threats. We consider each of these alternative grounds in turn. Rund argues that he displayed remorse that related back to the offense and took remedial steps after his tweets that make his conduct significantly less serious than the typical offense. According to Rund, he displayed such remorse when he confessed shortly after apprehension so that the targets of his threats would know that they were not in danger. The State counters that Rund did not display remorseful conduct during, or immediately after, the offense. Instead, he kept tweeting until he had posted five separate threats and did nothing to mitigate the impact until after the police arrested him. 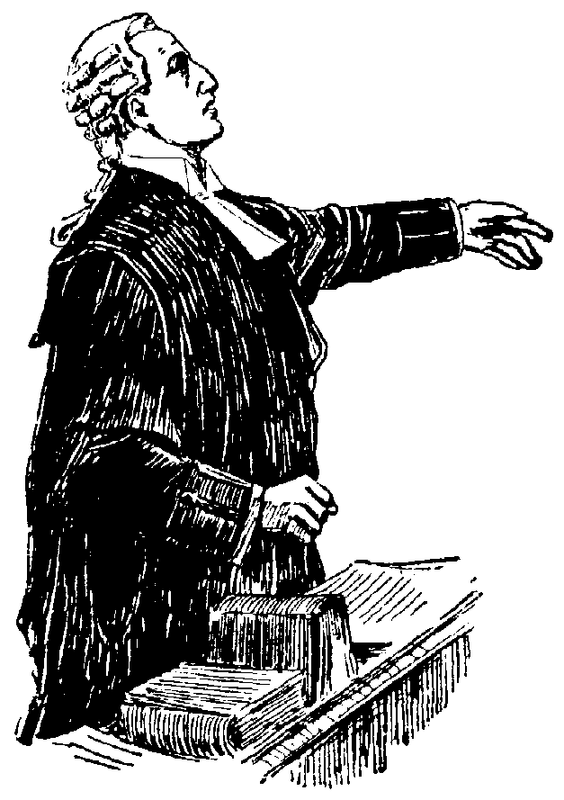 `[A] defendant's remorse generally does not bear on a decision to reduce the length of a sentence,’ but `cases may exist in which the defendant's remorse could relate back and be considered as evidence of remediation that makes the conduct significantly less serious than the typical conduct underlying the offense . . . .’ Id. at 625-26. Nonetheless, `showing the relevance of remorse to a durational departure will not be an easy task,’ because the offender must show that `his demonstrated remorse is directly related to the criminal conduct at issue and made that conduct significantly less serious’ than the typical case. Id. at 626. Having independently reviewed the record, we conclude that it does not reflect any remorse that was `directly related to the criminal conduct at issue and made that conduct significantly less serious.’ Id. Rund's confession, which was made after he was already in custody and no longer a viable threat to law enforcement, did not lessen the impact of the crime on the victims or make his terroristic threats any less serious than the typical terroristic-threats offense. Consequently, the record here does not reflect any offense-related remorse that would provide an alternative ground to support the downward durational sentencing departure. [w]e next consider Rund's argument that the social media context of his threats mitigates his culpability because the ability to post threats instantly makes them less deliberate and because most users understand that hyperbole flourishes online. The State responds that `[s]ocial media has become a forum to terrorize’ and that using social media to commit crimes does not mitigate the seriousness of those crimes. The guidelines' `nonexclusive list’ of mitigating circumstances that can justify a downward departure includes `[o]ther substantial grounds . . .that tend to excuse or mitigate the offender's culpability, although not amounting to a defense.’ Minn. Sent. Guidelines 2.D.3.a(5). But to support a downward durational departure, the reason must demonstrate that the defendant's conduct was significantly `”less serious than that typically involved in the commission of the crime in question.”’ Leja, 684 N.W.2d at 450 (quoting Cox, 343 N.W.2d at 643). Social media, like any other medium of communication, carries its own unique characteristics. We recognize that some users of social media may make more exaggerated or extravagant statements than they would in other contexts, and the forum certainly allows a user to post these types of statements, including a real threat, instantly without much deliberation. But these features do not support a categorical rule that threats made on social media are somehow less serious than other threats. And, as the district court aptly observed in this case, the anonymity that social media often provides can make the threats worse. In any given case, the unique characteristics of social media might mitigate or aggravate an offense. An analysis of the totality of the circumstances surrounding the specific offense is therefore required to determine whether a social media threat is more or less serious than a terroristic threat delivered by more traditional means. Our independent review of the record leads us to conclude that the circumstances surrounding Rund's use of a social media platform to publish his threats did not mitigate his culpability. Rund did not send one misguided tweet; he tweeted five separate times, including a threat to use a grenade to kill police officers. He used Twitter to threaten multiple police officers simultaneously, which made his conduct more severe than a threat against a single person. See State v. Murphy, 545 N.W.2d 909, 917 (Minn. 1996) (affirming an upward departure in a terroristic threats case for several reasons, including defendant's `multiple victims’). He also used Twitter's `mention’ mechanism to increase the likelihood that the targets of his threats would actually see them. Finally, the statute prohibits a threatened `crime of violence,’ a category that covers a wide variety of crimes, including: stalking, criminal sexual conduct, assault in the first degree, false imprisonment, and simple robbery. Rund threatened murder, the most serious crime of violence listed. Accordingly, the record fails to demonstrate that Rund's use of social media provides an alternative ground to support the downward durational sentencing departure.